Sheila Webster Boneham: Mysterious Monday - Must We Kill Someone? Mysterious Monday - Must We Kill Someone? 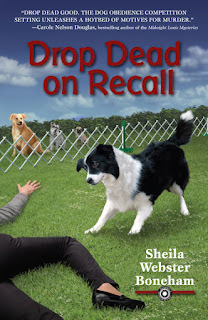 I'm still on my August hiatus from blogging while I wrap up the second Animals in Focus mystery, sequel to Drop Dead on Recall, so this will be short. I've been thinking a lot of mysteries, in books and in our own lives. We've all run into the occasional mystery to solve, and for most of us, they don't involve murder or kidnapping or other really dastardly deeds. At least I hope not. So why do most mystery books involve murder? Vicarious revenge? Facing our fear? Wishful thinking? All that and more? Probably. I wrote a short story a few years ago called "Tracks" that does not involve murder. The main characters are Janet MacPhail, the protagonist of the Animals in Focus series, and her Australian Shepherd, Jay. 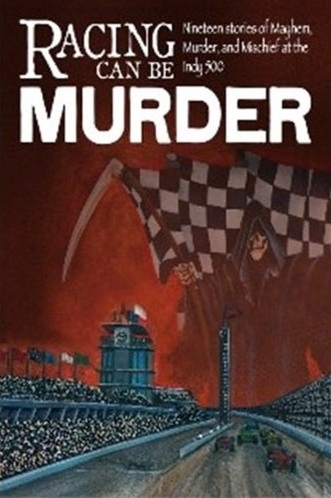 The story takes place in and around the Indianapolis 500 Museum and track, and was published in Racing Can Be Murder, an anthology put out by the Speed City Sisters in Crime. All the stories had connections to the the famous race, and most of them had their quotas of dead bodies. But I just wasn't in the mood to kill anyone. As we get closer to the October release of Drop Dead on Recall, I'll make "Tracks" available. It was fun to write, and got some nice mentions in reviews of the book. And I've been thinking about this whole knocking people off business. For one thing, I have an amateur sleuth and more books to write, so more mysteries to cook up. How many dead bodies can one photographer trip over? What do you, readers (and fellow mystery writers and editors and agents) think? Can we have a good, gripping mystery with lots of mayhem but no murder? There are some out there. What are your favorites?